GPS and other navigational devices are certainly convenient, since you can leave them in the car, docked and fully charged at all times. But nowadays it’s getting easier to just pull your smartphone and use it to show you direction. Earlier people used compasses, star gazing for practical purposes, to ask the locations. Now this no longer happens, since smartphones we are using has a GPS app. 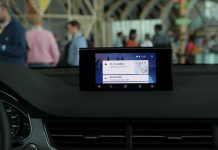 In this post, we want to highlight 8 best GPS navigation apps that you should install. Fundamentally, each application serves the same purpose: you choose a destination, and the application provides graphical navigation of the path, accompanying that navigation with visual and spoken cues for making turns or identifying upcoming road changes. In no particular order, here some of the best navigation apps that you should try. These maps are very best which turn by turn tells you where to go and even offers a route alternatively. It has awesome foreign maps available. It’s free and available for Android, iOS, Blackberry. It is a very good and complete map. It has the ability to consult offline, traffic information and radar and 2D and 3D visualizations. Well, the app is very good, quality one doubted. It is available for Android and iOS. In case your favorite activities is hiking boots and jump into hiking trails (or bike), this is definitely your app. It consists of very detailed topographic, aerial and access offline. You can plan your routes by marking the places you have to go and see what route you did, so that you can easily return the same way. There are both free and paid versions available for Android. This app uses TomTom maps with free updates and offline access option. It is integrated with Google, so you can search the local attractions; it regularly updates us with road issues like traffic and provides 3D visualizations. It is quite customizable and has plenty of options (navigation to your contacts or a zip code, compass, statistics and even the ability to share where you are with your friends. Available for iOS and Android phones at various prices. Waze is a GPS navigation app for social car, which is updated in real-time by the users themselves. The community in Spain is quite wide, so that the maps work very well. It’s free and available for iOS and Android. The main feature of these maps is that they allow you to search by category (restaurants, shops, attractions). They are designed for people who travel a lot, so they are available offline, there are maps of the entire world and, as they say, are very fast. Searches for points of interest can also be made offline; you can add favorites and program to always tell you where you are. Available for Android, iOS and Kindle. This apps is consists of mountaineers terrain maps where you can plan routes in advance and store the routes that go by. You can also share these routes with other users, marking the points of interest you see fit. You can geotag photos and videos you take out on the way and immediately share them on social networks. Available for iOS and Android. This app will allow you to avoid the traffic in the city and is multitasking, so you can make calls or listen to music without losing navigation. It is also integrated with Foursquare, so the information on points of interest is huge and complete. You can create multi-stop routes, the maps are stored on the Smartphone and includes the “Take me home” to avoid having to enter your address every time you want to return. The different maps apps, by country, are extra. You can try a free version. Available for iOS , Android and BlackBerry. Garmin utk android ada tak?